Embedded systems can be defined as information processing systems embedded into enclosing products such as cars, telecommunication or fabrication equipment. Such systems come with a large number of common characteristics, including real-time constraints, and dependability as well as efficiency requirements. Following the success of information technology (IT) for office and workflow applications, embedded systems are considered to be the most important application area of IT during the coming years. This importance of embedded systems is so far not well reflected in many of the current curricula. Embedded System Design is intended as an aid for changing this situation. It provides the material for a first course on embedded systems, but can also be used by PhD students and professors. A key goal of this book is to provide an overview of embedded system design and to relate the most important topics in embedded system design to each other. It should help to motivate students as well as professors to put more emphasis on education in embedded systems. In order to facilitate teaching from this book, slides, exercises and other related material can be downloaded from this web page. * 1: Introduction. 1.1. Terms and scope. 1.2. Application areas. 1.3. Growing importance of embedded systems. 1.4. Structure of this book. * 2: Specifications. 2.1. Requirements. 2.2. Models of computation. 2.3. StateCharts. 2.4. General language characteristics. 2.5. SDL. 2.6. Petri nets. 2.7. Message Sequence Charts. 2.8. UML. 2.9. Process networks. 2.10. Java. 2.11. VHDL. 2.12. SystemC. 2.13.Verilog and System Verilog. 2.14. SpecC. 2.15. Additional languages. 2.16. Levels of hardware modeling. 2.17. Language comparison. 2.18. Dependability requirements. * 3: Embedded system hardware. 3.1. Introduction. 3.2. Input. 3.3. Communication. 3.4. Processing units. 3.5. Memories. 3.6. Output. * 4: Embedded operating systems, middleware, and scheduling. 4.1. Prediction of execution times. 4.2. Scheduling in real-time systems. 4.3. Embedded operating systems. 4.4. Middleware. 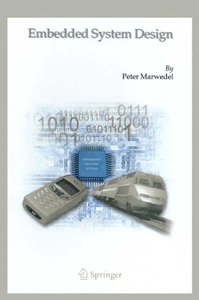 * 5: Implementing embedded systems: hardware/software codesign. 5.1. Task level concurrency management. 5.2. High-level optimizations. 5.3. Hardware/software partitioning. 5.4. Compilers for embedded systems. 5.5. Voltage scaling and power management. 5.6. Actual design flows and tools. * 6: Validation. 6.1. Introduction. 6.2. Simulation. 6.3. Rapid prototyping and emulation. 6.4. Test. 6.5. Fault simulation. 6.6. Fault injection. 6.7. Risk- and dependability analysis. 6.8. Formal verification. * Bibliography. About the Author. List of Figures. Index. Numerical Recipies in C - The Full Source Code!